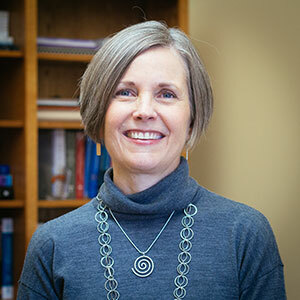 Professor Sheryl Thorburn, Head of the School of Social and Behavioral Health Sciences, came to the College of Public Health and Human Sciences in 2002 as an associate professor. Prior to Oregon State, she served as a research scientist with the Research Program on Women’s Health at the Center for the Study of Women in Society at the University of Oregon. She earned a bachelor’s degree in Sociology at Oregon State University; a master’s degree in Sociology from the UC San Diego; an MPH in Behavioral Sciences from the School of Public Heath, UC Berkeley; and a PhD in Health Behavior and Health Education from the School of Public Health at the University of North Carolina at Chapel Hill. CPHHS Professor Sheryl Thorburn, co-director of the School of Social and Behavioral Health Sciences. “I am currently working with Jenny Faith, a postdoctoral scholar and graduate of our college, and two current PhD students, Tassnym Sinky and Olivia Lindly, both PhD students in Health Promotion and Health Behavior, on a small pilot study to identify factors that might ‘push’ or ‘pull’ Oregon breast cancer survivors to using complementary and integrative health practices and that might influence their disclosure of those practices to conventional medical providers. We are exploring priority areas that are not well understood, including the influence of stigma and health care processes. The focus on complementary and integrative health, also known as ‘CAM,’ comes from the need to better understand how people’s experiences with the health care system, including experiences of discrimination and stigma, may lead them to seek alternatives to conventional health care.